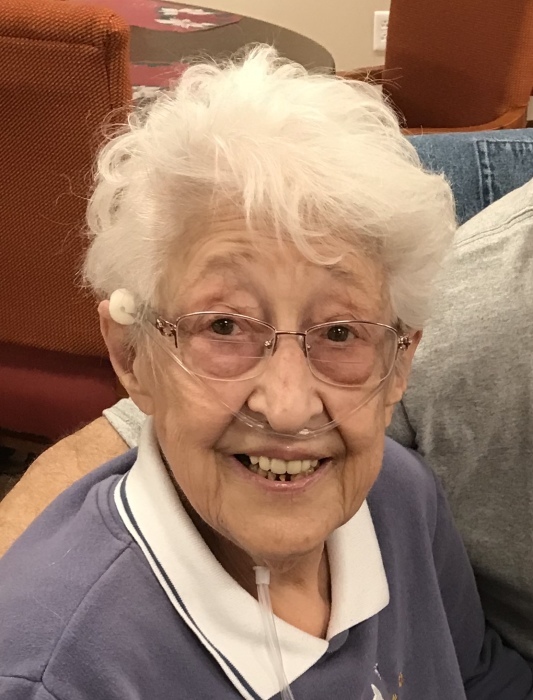 Gloria Joyce Wellek, was called home by her savior on March 15, 2019. Born February 12, 1926 in Chicago, Illinois to Lillian (Lilly) Eeles and Albert Lorenz. She grew up in Montana Mines and graduated from Fairmont East in 1944. After graduation she studied nursing at John Hopkins Hospital in Baltimore, Md. Her career was interrupted by the birth of her only child, Wayne Gibson, the love her life which later expanded with the birth of her grandchild, Dawn Michelle Boswell and her great grandson Daniel Charles Boswell. Marriage took her to Cleveland, Ohio where she embarked on a career as an executive secretary with Westinghouse Electric while managing work with raising her son. Following nearly a 30-year career at Westinghouse she became one of best sales people with US Merchandise in the fine jewelry department. In 1992 as one of the company’s highest sellers she won an all expense trip for two to the Barcelona Olympics. It became the trip of a lifetime for her and her granddaughter. While there they got to meet many of the athletes including Mary Lou Retton. An avid traveler Gloria enjoyed cruises and belonged to a travel club in Ohio, enjoying many weekend getaways. She was a skilled crafter when she wasn’t traveling and won several awards for her ceramic artwork. She loved gardening and always had a green thumb. She moved from North Royalton, Ohio to Fairmont, WV in 2015 to be near her son and his wife, Robin. She loved helping Robin work in the flower gardens and never hesitated to jump in and pull the weeds. When the work was done, she enjoyed sitting on the porch watching the birds and listening to the crickets at night with her family. Known by family and friends as the spirit of Christmas, she made every holiday special but none could compare to Christmas. She started baking Christmas cookies, often as many as 26 varieties, in November and freezing them until early December when you were allowed samples except for her son’s rum balls, which were off limits to all. Known for her generosity and quick wit, she was loved by all she met. She developed an extended family at the Bridgeport Health Care Center. The outstanding staff was always greeted with a hug and each told her “I love you” as they left the room. She is survived by her son, Wayne and his wife Robin, granddaughter, Dawn and husband Kevin Boswell, great grandson Daniel Boswell, best friend of nearly 70 years, June Solnik, friend Anne Flynn, niece Donna & husband Terry Wood, niece Tracy Sheranko, great niece and nephew Molly Cain and Drew Green and other extended family. Gloria was preceded in death by her husband, Hugh Wellek, mother, Lilly Ellis Sheranko, stepfather, Michael (Mike) Sheranko, brother Robert (Bobby) Sheranko, sister Joan Koval, brother Donald (Butch) Sheranko and wife Sandra. Gloria was a devoted animal lover. In lieu of flowers the family asks that donations to honor her life be made to the Marion County Humane Society. A Celebration of Life dinner will be held on May 4 from 5-8 P.M at Muriale’s in Fairmont, WV. Davis Funeral Home and Onsite Crematory handled the arrangements for the Wellek family. Online condolences may be sent to Davisfuneralhomewv.com. 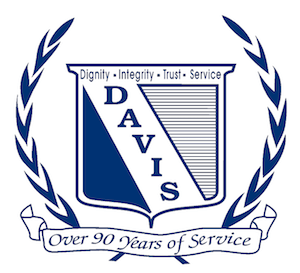 Davis Funeral Home is honored to assist the Wellek family.